Sensible, safe and effective nutrition and lifestyle advice is a responsibility, and more complex than simply dishing out ‘one size fits all’ recommendation. As such, Nicola understands the importance of working not only from the evidence base, but also within her scope of practice. She works alongside many outstanding doctors, researchers, nutritional therapists and medical herbalists and really believes in the value of collaborative working and learning. Mostly online through Skype and FaceTime. My clinic is based in Twickenham, London. I trained at The Institute for Optimum Nutrition (ION), qualifying in 2005. Since then I’ve been immersed in academia, working at ION as a lecturer and heading up the clinical side of things at the Institute. I’ve completed hundreds of hours of post-graduate training in functional medicine and other health disciplines including nutrition counseling in the management of emotional eating. I’ll be embarking on a master’s degree this year too, which I am really looking forward to. I spent a large part of my teens and early twenties feeling unwell and experiencing tummy pain, and it seemed no one could help. 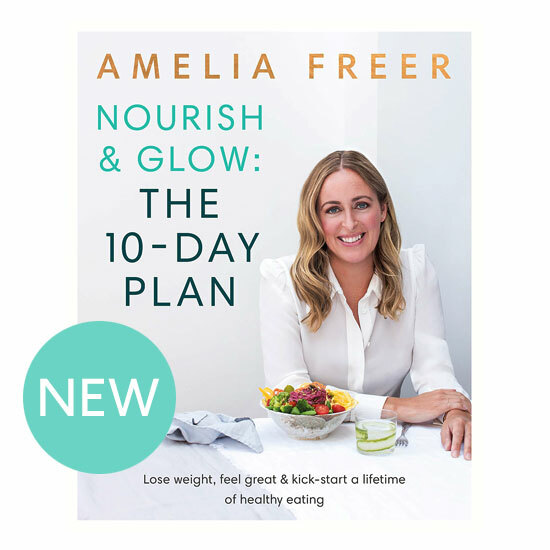 When I started taking control of my health (with the help of a nutritional therapist) it lit a spark in me and I was compelled to study nutrition and become a nutritional therapist myself. To me, the ethos of nutritional therapy – supporting the whole person, not separate parts of the body – and addressing the root cause rather than symptoms, makes total sense. I feel so fortunate to have found a career that I love and feel passionate about. There is always so much more to learn as the field of nutrition and lifestyle medicine is moving fast, and this also keeps my work fresh and appealing to me. Nutrition to support the immune system. The immune system is amazing, but so many things can impact its functioning; from digestive health through to hormones, and especially nutrient status. The immune system also impacts on things like mood and weight, so it’s all interlinked. I work with clients who have an immune related illness (an autoimmune condition, for example) or something they can’t get to the bottom of – like frequent infections. And many of my clients want to support their immune system following a health scare, or wish to look after their immune system from a preventative health point of view. Much of my work with clients focuses on coaching them through dietary change in a way that helps their immune system function to its best ability. I love helping clients make the connection between what they eat and how they feel. I am also a real fan of using food as medicine, in the traditional sense of the word as well as taking on the latest scientific insights into those magical components of food (botanical features) that demonstrate the power to improve immunity. When a client finishes an appointment saying they are hungry or can’t wait to go food shopping I feel very happy! In addition to the above, I specialize in being a normal person! There is so much perceived perfection in the nutrition industry. I am far from perfect, but do try my best to make the right choices to support my individual needs, and a big focus of my own diet is on supporting my own immune system. So many things can impact immunity issues. Stress of one kind or another is incredibly common. Most have some kind of digestive issue or hormonal problem which may also be affecting how their immune system functions. Many are feeling exhausted or anxious and at a bit of a loss as to what to do next. To be honest, the range of problems differs hugely, but these are common themes. There is also frequent confusion about food because there are so many conflicting messages out there about what we should or shouldn’t be eating. But mostly clients just need help navigating their way from A to B in terms of reclaiming their health and getting immune health back on track. When you’re feeling exhausted and unwell it’s very hard to see the wood for the trees. I see it as my job to understand why my client isn’t feeling well, and then together we can come up with a plan to get the problem sorted by allowing the immune system to work effectively. I have so many memorable clients, and success could be presented in range different forms, so this is a hard one to answer! I suppose it depends how you measure success, because with a job like this it could equate to helping someone with a debilitating autoimmune condition improve their quality of life, through to transforming someone’s view of, and relationship with, food. Both are professionally satisfying to me. One stand-out client was a lovely lady who’s health had started to decline from the age of 35. Nothing too noticeable to begin with; just getting the odd headache, noticing a bit of reflux, finding it hard to lose weight and experiencing the odd sleepless night. Over the next 10 years these issues escalated, and she found herself at the doctors more frequently than she’d ever been before, for one thing or another. Her doctor discovered nothing of note, so she was told she was probably approaching the menopause and was put on drugs to help her reflux. Her digestion continued to get worse, with bloating and pain, she became achy, fatigued, and unable to sleep or lose weight. At this point she also started picking up infections and viruses, and really became quite fed up and nervous about her future health. Together we looked at her nutritional status. She was deficient in vital minerals needed for immune health and hormone balance. We also explored her gut health and hormone levels with functional tests, which revealed specific issues with gut immunity, low levels of the hormone cortisol and high levels of oestrogen, (both hormone imbalances can have an impact on the immune system, amongst other things). We worked together to addressing all of these underlying problems, and over time her health returned. It’s a very satisfying case to reflect upon. Uncertainty over what is or isn’t deemed to be ‘healthy’ and how best to eat in a way that supports feeling better. There is so much confusion around; so many mixed and conflicting messages about what we should or shouldn’t be eating to be well. Access to tests can be a problem. We are fortunate to have some really extraordinary laboratory tests available to us as nutritional therapists. These are functional tests that allow us to dig far deeper to gain insight into underlying causes for illness. Unfortunately they are not available on the NHS. Having the luxury of time and space to become totally focused on diet and lifestyle change and impact on nutritional status. My role in the process is relatively small, in that I guide, encourage and support my clients. However, they are the ones who between appointments need to ‘get the job done’ each and every day. I spend a lot of time coaching my clients through dietary change, and a large part of this involves education. I enjoy breaking down the facts from the fiction and addressing the many myths and controversies surrounding the subject of nutrition. The beauty of personalized nutrition is that it’s not about standard ‘diets’. The important thing is to understand the best way to eat to suit our own individual set of circumstances. I enjoy producing recipes and meal ideas for my clients that incorporate as many immune supportive ingredients as possible (most of which are available from the supermarket). I routinely ask my clients to get a specific set of NHS labs done through their GP, and I work in collaboration with many outstanding doctors. The information provided by these tests can give great insight and a very good starting point. If I feel private functional tests would be of benefit I present the information to my clients and allow them the time and space to consider the different options. I’ll often rank my test recommendations in order of preference, allowing for more flexibility. I am a fan of testing nutritional status, assessing digestive function and exploring hormone health because all of these are cornerstones of optimal immune health. Long-term dietary change – as a lifestyle choice – doesn’t happen overnight. My coaching approach allows space and time for alterations to be as subtle as needed, and I weave specific nutrient dense foods into recommendations in a way that’s achievable. I find I’m often giving my clients permission to eat! There is so much entrenched anxiety that certain foods are ‘bad’. Finally, I work very hard to support my clients with regular appointments so they have the support they need. One of my jobs is to problem-solve with my clients. We are in this together! Describe an average working day in your life. It’s probably similar to the majority of working mums out there! On average, my working days involve a degree of juggling and the wearing of different hats. It also depends on whether it’s a clinic day or a day at ION (at ION my role is more about department management and academia). On clinic days I’ll work with a couple of clients in the morning, then a couple more after lunch before picking up my children from school. I offer evening appointments once a week as well. Most of my work clinic work is by Skype/FaceTime because this is often most convenient for my clients. It’s good to be curious, and this is never truer than when approaching your own individual health and wellbeing. Do your own research. Educate yourself so that you can make informed decisions, rather than just believing what you are being told. If you have a hunch something isn’t right speak up. And if you find you are hitting a brick wall, investigate other avenues. You don’t have to put up with feeling unwell or anxious about your health. Find a healthcare professional (nutritional therapist, or other) who will fully support you and also share your natural curiosity in getting to the bottom of things. It is possible to change your health trajectory! Goodness, this is almost impossible to answer – in fact, I can’t give one favourite meal – sorry! I love all Mediterranean food, especially delicious fish or seafood dishes with simple vegetables or fresh salads. I love olive oil, tomatoes and garlic. I also really enjoy Asian flavours and regularly eat Indian and Thai food. If I had to pick a British meal it would have to be a roast dinner with crispy roast potatoes, loads of veg and lashings of gravy. My favourite pudding is crumble because I have beautiful memories of both my Nan and Mum dishing up hot, bubbly, toasty crumbles when I was a child. When you are very focused on a job that you love it can be hard to ensure the right balance is there. I made the decision a few years ago to only agree to work that I thought would make me feel happy. This was scary at the time because I knew it would mean turning certain opportunities and job offers down, but it was the right decision for me as it resulted in less stress and even more job satisfaction (so work doesn’t feel so much like work these days). I try to switch off as much as possible in the evenings and weekends. I don’t engage that much with social media because I am not entirely sure it would be helpful for my work:life balance. I’ve identified that I could easily become ‘sucked in’ which would then stop me being present with my family and friends in the evenings and at weekends. I tend to offer a blended approach to working with clients, which includes functional medicine (tackling the root cause of immunity issues by addressing biochemical imbalances) alongside diet and lifestyle change coaching. So, when we first meet, we map-out a strategy together that might include GP or functional testing, and specific dietary approaches. From there, the coaching begins, at which point we really dig into the food side of things, and also look closely at any lifestyle factors that might need to be addressed. Then, when test results come back, we build that into the picture. The overall plan is usually quite systematic and methodical, but the coaching side of things allows for the many nuances of life to be taken into account. I have approached my work in many different ways over the years in order to find the right ‘fit’, but this way of working certainly seems to get good results for my clients.